Rose Nurturing Bath Essence with precious rose ingredients envelops the senses in the soft, luxurious scent of dozens of blooming roses. Feel the care and protection of the queen of all flowers as you bathe in the velvety warmth of this beautiful bath essence. The mild, non-foaming formula is gentle enough for babies’ delicate skin. Love this in the bath just purchased and it is so relaxing! Dr. H uses the finest of rose scents. I use the body oil daily. 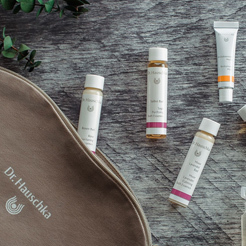 The combination of the two for the Bath Essence is a winning combination. It's a divine bath product. Jump in! Settlement scent of Rose Nurturing Bath Essence! I didin't detect any noticeable fragrance or benefit for my skin to make me want to purchase a bottle larger than the travel size. I need a little more aromatherapy than this offered. I absolutely love this product! The fragrance is wonderful and makes me feel nurtured just by smelling it. I've been trying to a few bath essences. ?? is not good for me but is a Dr H signature, so I was hesitant. The scent is not over-powering. It is so soft and barely noticeable. Good replacement for an actual eau de toilette. 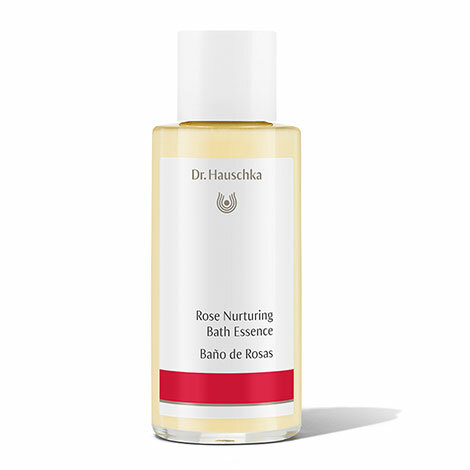 The rose nurturing bath essence is my favourite! I enjoy a lovely face wash as often as I can. Very pleasant addition to a bath. Must buy again and again! I love the scent. The scent is relaxing and refreshing. What more can I say I really like this bath essence. Adults add 1–3 capfuls of the bath essence into the stream of running water as the bath fills. Infants and children, add 1 capful to running water. Rose Nurturing Body Wash, Rose Body Nurturing Body Cream and Rose Nurturing Body Oil nicely complement this harmonizing bath essence for a holistic bath and body experience of the skin and senses. Protect against light and heat.